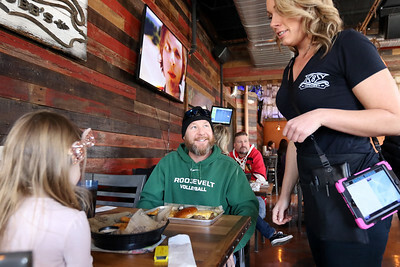 Matthew Apgar - mapgar@shawmedia.com DC Cobbs waitress Amy Zabinski checks on customers Vince DePersio of McHenry and daughter Desiree, 5, at the restaurant's new location Thursday, March 8, 2018 in McHenry. 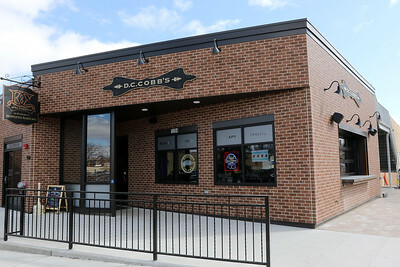 The restaurant, co-owned by Dan Hart and Josh Carstens, recently opened their second location on North Green Street. 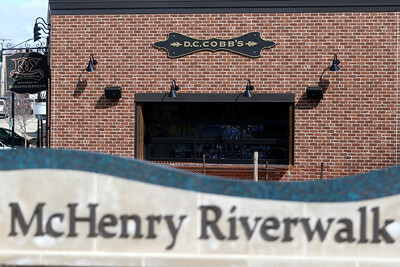 Matthew Apgar - mapgar@shawmedia.com DC Cobbs is open for business next to the McHenry Riverwalk on Thursday, March 8, 2018 in McHenry. The restaurant, co-owned by Dan Hart and Josh Carstens, recently opened their second location on North Green Street. Matthew Apgar - mapgar@shawmedia.com Jane Srednicki (right) holds Anna Fischer as they look over the menu at DC Cobbs on Thursday, March 8, 2018 in McHenry. The restaurant, co-owned by Dan Hart and Josh Carstens, recently opened their second location on North Green Street. 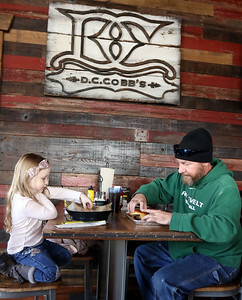 Matthew Apgar - mapgar@shawmedia.com Vince DePersio of McHenry and daughter Desiree, 5, prepare to eat their lunch at the new DC Cobbs location in McHenry on Thursday, March 8, 2018. The restaurant, co-owned by Dan Hart and Josh Carstens, recently opened their second location on North Green Street. Matthew Apgar - mapgar@shawmedia.com Bartender Stacy Brennan pulls beer from the tap at DC Cobbs on Thursday, March 8, 2018 in McHenry. The restaurant, co-owned by Dan Hart and Josh Carstens, recently opened their second location on North Green Street. 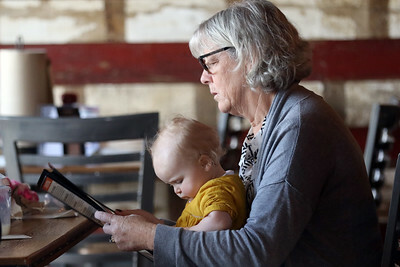 Jane Srednicki (right) holds Anna Fischer as they look over the menu at DC Cobbs on Thursday, March 8, 2018 in McHenry. The restaurant, co-owned by Dan Hart and Josh Carstens, recently opened their second location on North Green Street.